Offer excludes: carpet cleaning , window cleaning, garage cleaning, laundry/linens. Payment for this offer will be made directly to service provider. Please discuss options at time of contact. 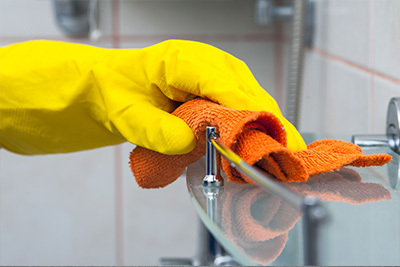 Cleaning and disinfecting interior and exterior showers, tubs, toilet, and sinks; cleaning and disinfecting all fixtures and treating any mildew; cleaning mirrors and shower door tracks; moving most vanity items and cleaning counter areas; cleaning the tops of vanity items and replacing them; cleaning the bathroom cabinets and floors. Housekeeping services can include: Disinfecting of kitchen and bathroom areas; cleaning interior and exterior of appliances, vacuuming, dusting, mopping, removing cobwebs, and emptying trash in all living areas; wiping down baseboards, cleaning interior and exterior of all cabinets, doorframes, light switches and fixtures, mirrors, stair rails, air vents, cleaning front entry and rear glass doors and interior of all windows, cleaning of walls, dusting blinds. 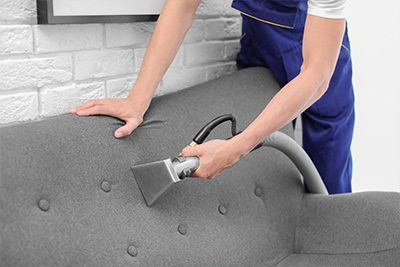 Offer excludes: Laundry, garages, exterior window cleaning, carpet cleaning.